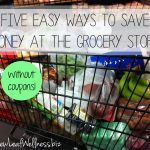 I recently started paying more attention to prices at the grocery store. Did you know the the big packages for ground beef typically cost less per pound than the one pound packages? At my local grocery store, the 3+ pound packages of ground beef are about $1 per pound cheaper than the one pound packages. That’s enough to make me want to buy ground beef in bigger quantities. So, I’m convinced that we should eat more ground beef. But what the heck am I going to do with three or more pounds of it? If you’ve seen my blog post about freezer meals that don’t require any cooking ahead of time, or my freezer cooking cookbook, you can probably guess that I’ll freeze some of it. When I freeze ground beef, I separate it into one pound packs of raw meat per quart-sized plastic freezer bag. I thaw the bag in my refrigerator overnight (or two nights) before I’m planning to cook with it. Tastes just as good as fresh meat that was never frozen. 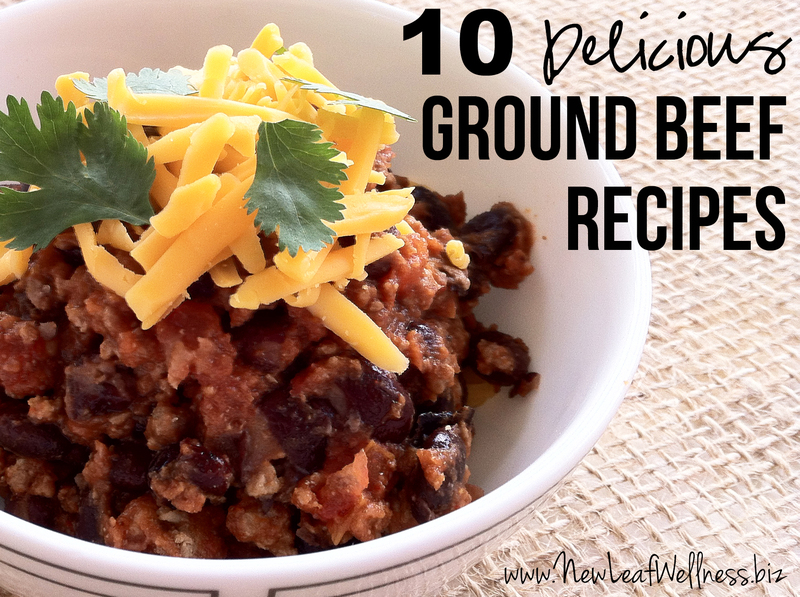 I’ve also compiled a list of our 10 favorite ways to eat ground beef. 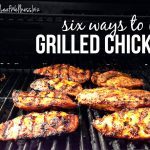 These are tried and true recipes that I know your family will love! I’m including a mix of Italian, Mexican, Irish, and American influences so you can eat more than one in a week and not feel like you’re eating the same thing over and over again. You can certainly sub ground turkey in any of these recipes, if you prefer it. All of these recipes are seasoned well, so I think ground turkey would work just fine. What’s your favorite thing to make with ground beef? Please share in a comment below! Do you buy organic meat or conventional from your local store? Whatever is available. Sometimes they have organic, grass-fed beef at our local grocery store, and sometimes they don’t. Yay! Thanks so much for sharing! I think making the cheeseburger soup in the crockpot could work, but I’d be more inclined to make it in a pot because there’s something so delicious about onions that have been sautéed in butter. Plus it cooks pretty fast. I use unsalted butter for everything. Less sodium and I prefer how it tastes. If I have to buy salted, I cut the amount of sodium in the rest if the recipe. For example, I can’t take chocolate chip cookies baked with salted butter AND added salt. Way too salty!! 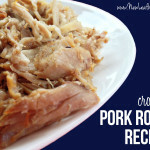 Could you make taco meat in the crockpot? Would it just be ground beef and taco seasoning?